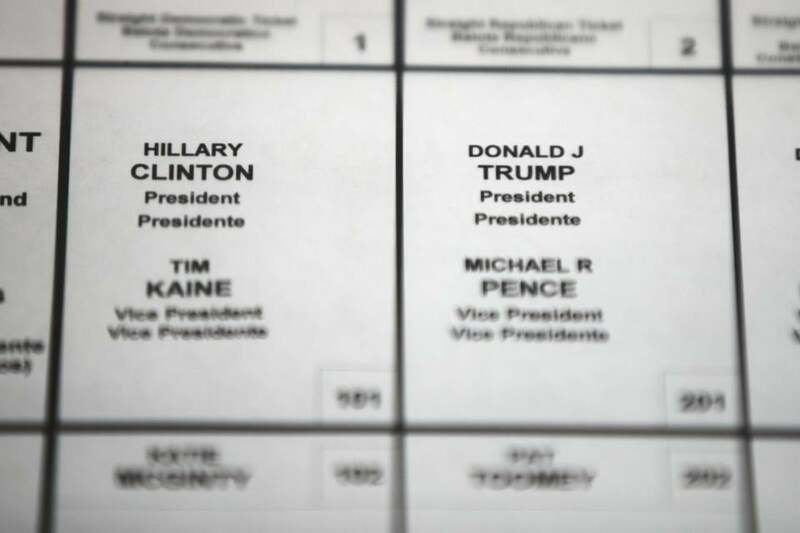 The ballot on a voting machine used in Philadelphia in the 2016 election. The federal government has told election officials in 21 states that hackers targeted their systems before last year&apos;s presidential election. Can Massachusetts take a stand against foreign influence in our elections? On Wednesday, a legislative committee held a hearing on a bill to plug a loophole that the federal government has left wide open for foreign influence. 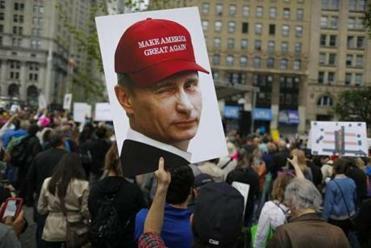 There are many ways for foreign interests to influence US elections. We saw several of them in 2016, like the Russian government’s sophisticated computer hacking attacks on state election systems, or its intelligence operatives’ high-stakes meeting with Trump campaign officials on the promise of sharing potentially compromising information. But these are exotic. If foreign governments, businesses, or wealthy individuals want to influence US voters’ perceptions and preferences, it’s much simpler just to do it the way Americans do: on social media. We’ve recently learned how a shadowy Russian company placed over 3,000 political ads on Facebook during the 2016 national election. And even shadier Russian entities ran an extensive social media campaign through fake accounts on both Facebook and Twitter. Yet Facebook and Twitter aren’t the only ways that foreign interests can use American companies to influence US elections. While federal law prohibits “foreign nationals” (governments, businesses, and individuals) from contributing or spending money in federal, state, or local elections, a loophole allows them to leverage their investments in US corporations for political spending. Even in the face of overwhelming evidence, the Trump administration has shown zero interest in the issue. A corporation registered in the United States, but with significant foreign ownership, can spend money, or launder the money through a super PAC, to influence American politics. Even if the company isn’t 100 percent foreign-owned, a significant foreign interest can influence how a company spends money to influence elections. In other words, a foreign entity with a significant interest in an American company can leverage that company’s corporate resources for political purposes. Until recently, all corporations were banned from spending money to influence elections in federal elections and in many states, including Massachusetts. In 2010, the Supreme Court’s Citizens United decision struck down laws prohibiting independent spending by corporations. And while the Supreme Court was careful to note that its decision would not foreclose limits that apply specifically to corporations with significant foreign influence, Congress hasn’t updated the law since the Citizens United decision. Meanwhile, the Federal Election Commission, the agency in charge of interpreting and applying the law, has been stuck in stalemate. That’s why state and local governments are stepping up. The Massachusetts bill, filed in January and now having its first hearing, bans political spending in Massachusetts elections from a foreign-influenced corporation — a company of which 5 percent is owned by a single foreign national, or 20 percent is owned by a group of foreign nationals. It also imposes a disclosure requirement on outside spending groups that take corporate money: Either get a certification from the corporation that it is not foreign influenced, or disclose to the public that it may be. In the face of federal inaction, other states and localities are also considering steps to protect their elections from foreign influence. Some might argue that foreign-influenced political spending isn’t yet a problem in state or local elections. That’s not entirely true — there are some well-documented examples — but it also misses the larger point. In 2016, foreign political spending wasn’t yet a major phenomenon in federal elections — until it was. And it wasn’t all national: Russian operatives used Facebook to organize local political rallies in places like Fort Lauderdale, Fla., and Twin Falls, Idaho. Nearly a year after the 2016 election, we’re still learning about the extent of foreign influence. But we need to plug the loophole that allows foreign governments and oligarchs to leverage the assets of American corporations to spend money to influence our elections. If the federal government isn’t up to the task, then states and cities must take the lead in protecting our elections from foreign influence. The Massachusetts bill is an important first step. Laurence H. Tribe is university professor and professor of constitutional law at Harvard Law School. Ron Fein is the legal director of Free Speech For People.